One of Earth’s most spectacular wildlife events takes place each year in the heart of eastern Africa, culminating at a river crossing where nature coldly decides who lives to see another season. Final resting place of one of Africa's most famous conservationists, murdered by bandits. 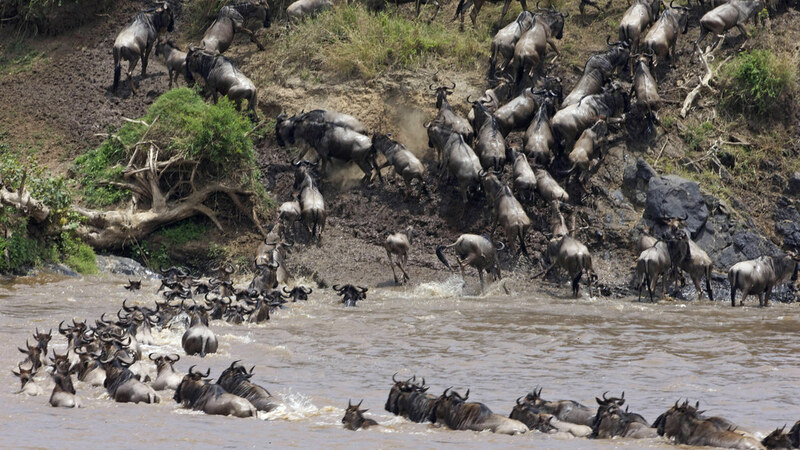 Dubbed “The Great Migration,” 1.5 million wildebeest, zebras, and gazelle follow a circular migratory route throughout the Serengeti and Maasai Mara ecosystems, fraught with a series of river passages whose raging currents and predatory beasts lurking in the shallows make the endeavor more than just a simple swim. 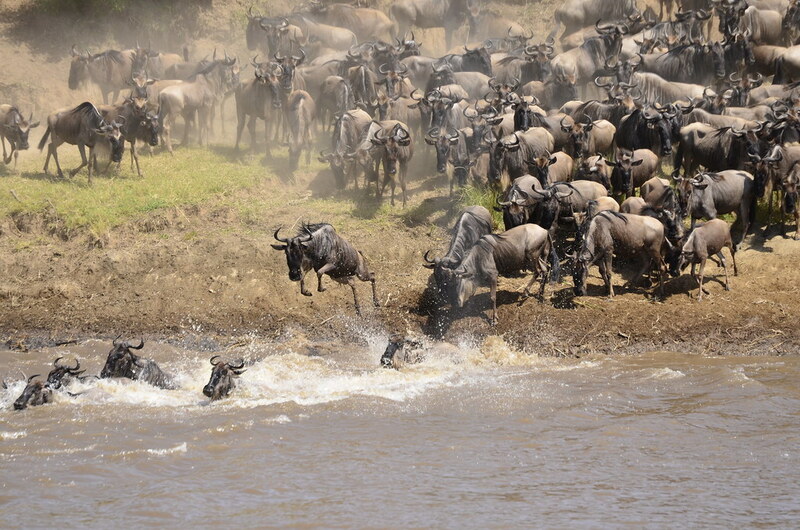 After having forded the formidable Grumeti River in Tanzania, the remaining herd makes its way north from July through October to meandering Mara River. Along its banks, the wildebeest queue up as far as they eye can see, waiting to take the season’s final plunge in hopes of finding promise greener grasses – and, new studies show, better drinking water – on the other side. Before they can get there, throngs of hungry crocodiles lie in wait. 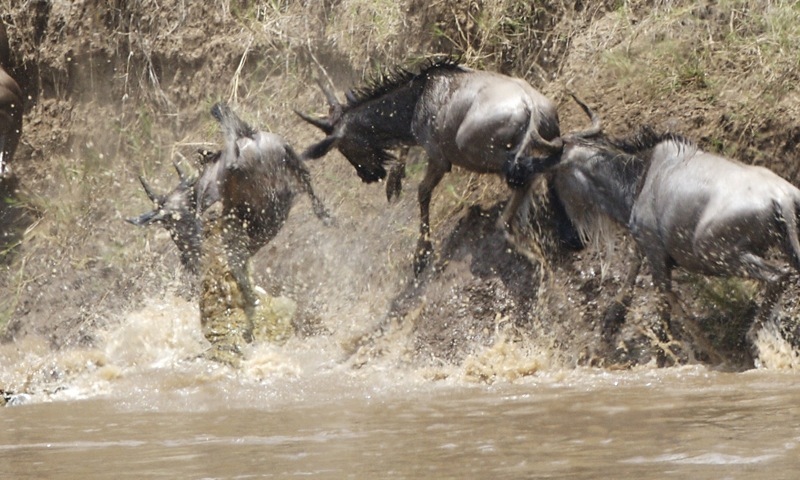 For the wildebeest, getting to the other side alive is a lot like a very dangerous, inescapable game of roulette. 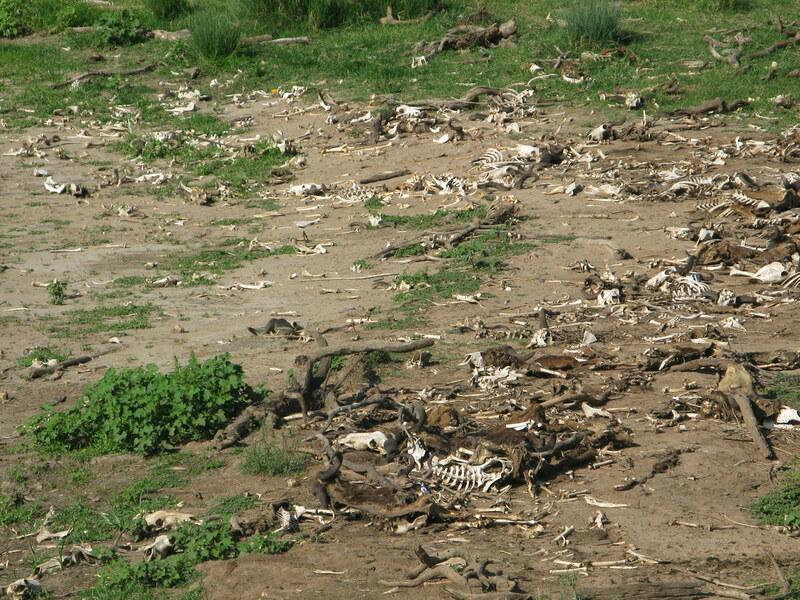 Carcasses of those who didn’t make it litter the Mara’s banks. 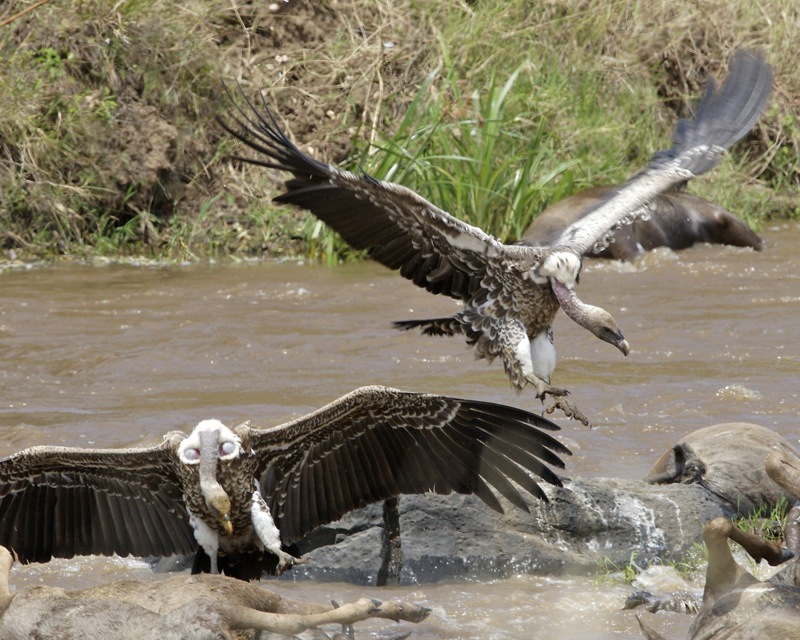 Vultures feast on what the crocodiles left behind. Immortalized by Attenborough, such scenes of Nature ruthlessly sorting animals into those who live and those who die has become at once inspiring and macabre. No wonder the Mara crossing has become the kind of place travelers wait lifetime to visit in person. It is the world’s most quintessential struggle, played out in realtime, before one’s eyes… and among few places on the planet where it can be witnessed reliably, year after year. The timing of the migration varies slightly form year to year depending on the rains, however the migration is usually in the Mara from late July to early October, and July/August is the peak time when most of the animals are in the Mara. If you want to see the migration at other times of year, you will need to go to Tanzania to see then in the Serengeti.If you are keen to see a river crossing then you will need to be careful when booking your lodge, as many places are 2-3 hours from the river crossings. The further away you are from the river, the more of your game drive will be taking up by travelling...or example, if you stay at a lodge 3 hours from the river you will need to spend 6 hours just driving to and from the river from your accommodation. Lodges nearer the river are more expensive, however you will have a much better chance of seeing a river crossing as you can spend longer at the river. These strange piles of magnetized volcanic ash travel across the desert about 50 feet per year. This rare volcano spews the strangest and (literally) coolest lava in the world.